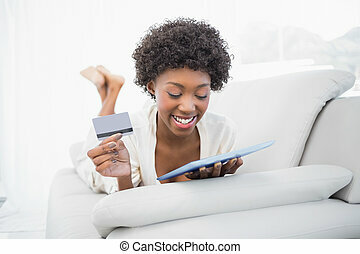 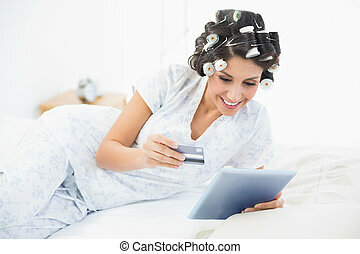 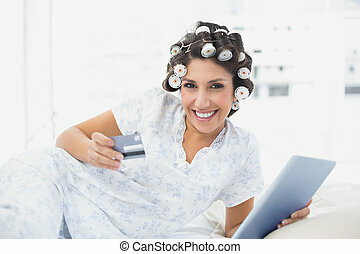 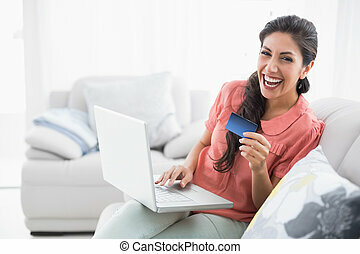 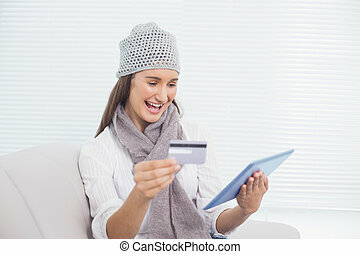 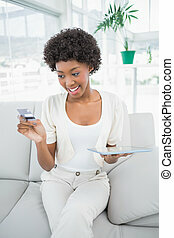 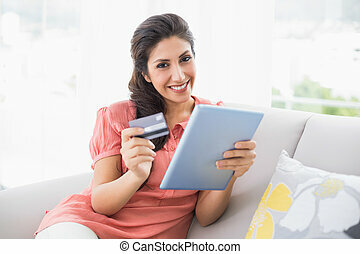 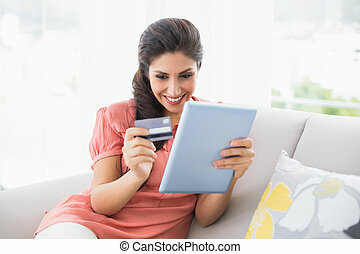 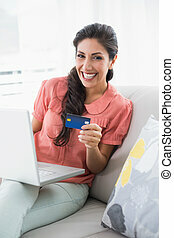 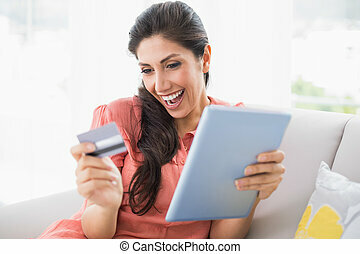 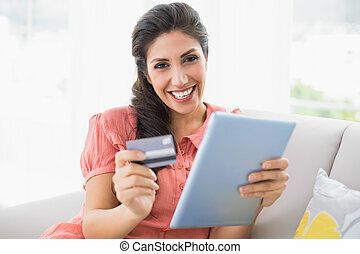 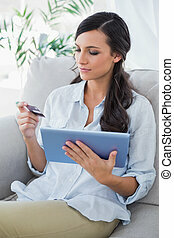 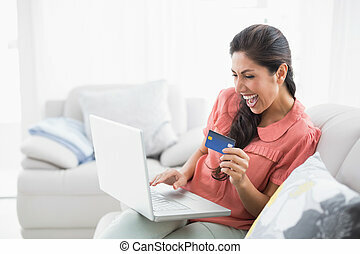 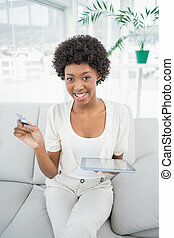 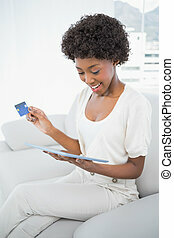 Ecstatic brunette sitting on her sofa using tablet to shop online at home in the sitting room. 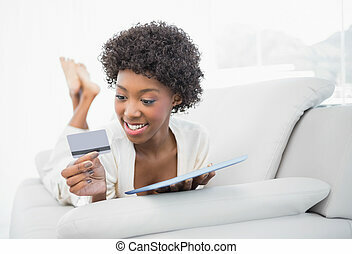 Over the shoulder view of young lady sitting on couch using digital tablet at her apartment. 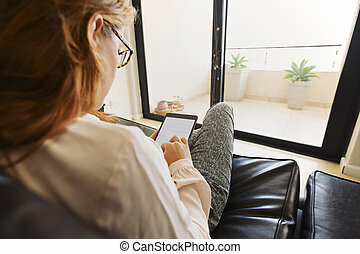 Female reading e-book / surfing online with tablet computer. 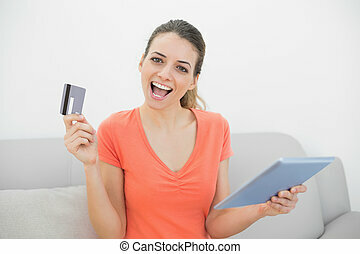 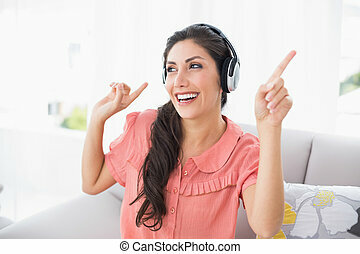 Excited young attractive girl showing something cool on electronic tablet to her best friend. 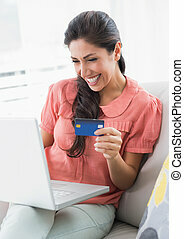 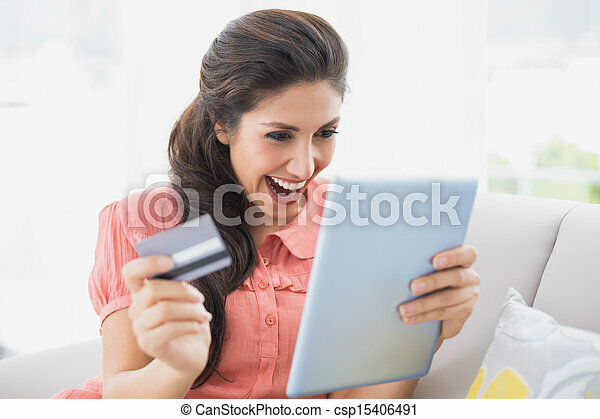 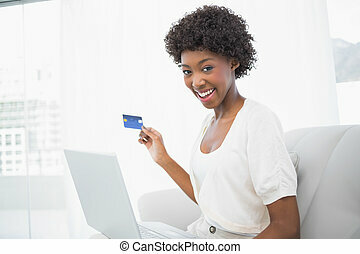 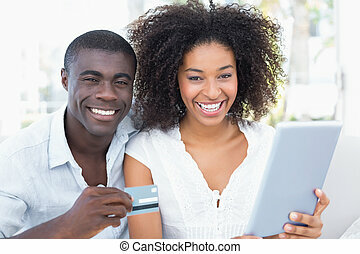 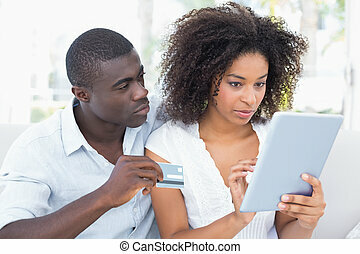 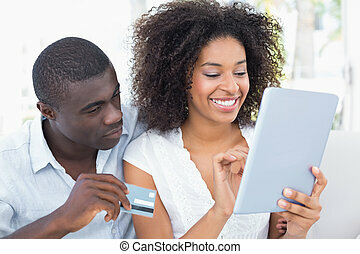 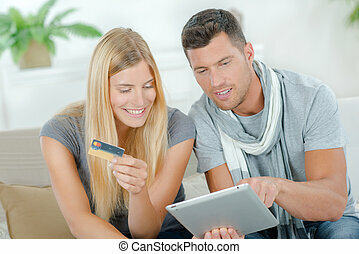 Smiling girlfriends looking at great deal on website. 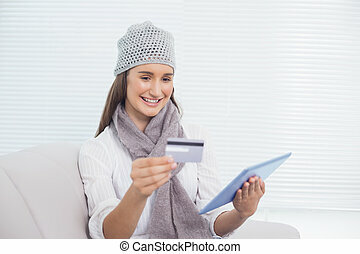 Sisters found big discount while shopping online.